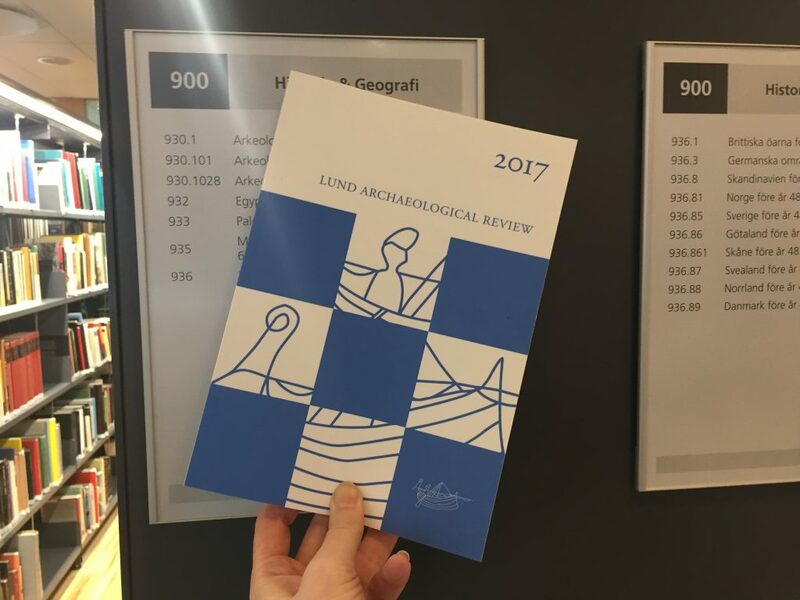 Lund Archaeological Review är en preiodiserad publikation som institutionen ansvarar för. Det senaste numret, LAR 2017, har precis kommit och samtidigt går det ut en inbjudan att pitcha en artikel för framtida nummer. Det här är något för de som är klara med sin utbildning (eller nära nog) att bidra till, men är förstås av intresse för alla att läsa. We are now accepting suggestions for articles for publication in Lund Archaeological Review, LAR 2019. LAR is a peer-reviewed periodical which is published once a year by the Department of Archaeology and Ancient History at Lund University, Sweden. LAR is internationally ranked as a publication with significant visibility and influence in various research domains in different countries (European Science Founda-tion, 2007). It is ranked as a journal on level 1 by the Nordic list (2017). We offer an interdisciplinary forum and welcome contributions within the fields of archaeology, historical archaeology, historical osteology, classical archaeology and ancient history. Articles are available online through the Publication Series in Humanities and Theology www.lu.se/skriftserier. If you have a suggestion for an article for LAR, please submit a one-page description (in English or in Swedish) of the contents by March 1, 2018 to the address below. You will receive a response from the editorial board by the end of March. If your article suggestion is accepted you will be expected to submit the article, in English and accompanied by illustrations, by June 30. Articles will then be submitted to peer-review. Articles should be approximately 10 pages in length. Instructions for authors will be sent to authors whose suggestions are accepted. The editorial committee consists of Dr Martin Hansson and Dr Fredrik Ekengren. LAR finns på biblioteket och jag har också ex att låna ut på kontoret. Om jag inte såg fel så finns det också några på litteraturhyllan i korridoren som är gratis att ta. This entry was posted in ALL students of the department, Efter examen, Post graduation: Doktorander - PhD candidates, post-graduation: Master and tagged bibliotek, LAR, vad arkeologer gör. Bookmark the permalink.